Home SharperIron Forums Church & Ministry Matters Worship & Music Public worship and Exodus 28:42: "from hips to the thighs"
Public worship and Exodus 28:42: "from hips to the thighs"
KJV: "And thou shalt make them linen breeches to cover their nakedness; from the loins even unto the thighs they shall reach"
NIV: "Make linen undergarments as a covering for the body, reaching from the waist to the thigh." Our brother on this thread (now closed), made this statement: "God provided definitive instruction to His people about how those who would draw near to Him in public worship had to be dressed" (citing Ex 28:42). This thread is opened to discuss this. Exodus 28:42 And thou shalt make them linen breeches to cover their nakedness; from the loins even unto the thighs they shall reach: 43 And they shall be upon Aaron, and upon his sons, when they come in unto the tabernacle of the congregation, or when they come near unto the altar to minister in the holy place; that they bear not iniquity, and die: it shall be a statute for ever unto him and his seed after him. God specified that Aaron and his sons had to have on linen breeches (underwear) that were of a specific length to cover the nakedness of specific parts of their bodies (“from the loins even unto the thighs”) when they drew near to Him to worship Him. In an all-male context and even in a context when there would have been no other humans present at all, Aaron and his sons had to do this. Moreover, they had to have other garments on over these linen breeches. If God required these men in an all-male context to dress modestly to cover their nakedness in this way, how much more so does God want all people to dress modestly in public worship in a mixed group by covering these parts of their bodies at least as much as these priests had to when they worshiped God in the tabernacle and in the holy place! God certainly wants people to dress modestly in public worship. Moderator Note: Do not use this thread for discussions on BJU Handbook changes. All references to BJU and handbook changes will be unpublished on this thread. Are we going, then, to require that a lot of the other prescriptions for priestly dress apply to all believers? And then the prescriptions for beards, military service, who they could marry, whether they could have a physical blemish, and the like? If so, why didn't our Lord and His Disciples make a bigger deal out of this? Really, this is a textbook example of how not to handle the Torah. What Rajesh has done with this passage is to take a regulation that applied only to male priests currently working in the Temple, nowhere repeated for any other class of people in the Old or New Testaments (including Jesus and the Apostles), meaning more or less "wear your underwear", and assume that it indicates an entire range of meanings regulating the whole of Godly attire. Sorry, but that's a poster example of "hasty generalization", "non sequitur", and the like. What it is not is "responsible exegesis". It's good to get some critical feedback from those who think very differently from me and have a very different approach to the Bible and living life as a believer. I will prayerfully and carefully consider the criticisms that you have shared and see how God directs me in understanding His Word and how He directs me to understand what He has revealed about how He wants His people to please Him. God put this revelation in Scripture to reveal foremost things about Himself. May He bless you and others to honor Him with what you choose to do with this revelation and what it reveals about Him. those who think very differently from me and have a very different approach to the Bible and living life as a believer. How are people on SI so very different than you, both in thought and practice? Are we going, then, to require that a lot of the other prescriptions for priestly dress apply to all believers? I was going to ask the same sort of question directly from the context of Exodus 28. Verse 40 says (in the KJV) "And for Aaron's sons thou shalt make coats, and thou shalt make for them girdles, and bonnets shalt thou make for them, for glory and for beauty." Is God more pleased with our worship when we dress up as the priests were required to do? Then I looked at verse 40 in the NIV. It says "Make tunics, sashes and caps for Aaron's sons to give them dignity and honor." One translation says "for glory and for beauty" while the other says "to give them dignity and honor." Those must be some pretty general Hebrew words to be translated both those ways. I find it interesting that the priests had bonnets/caps that they had to wear, but Paul told the readers of I Corinthians 11:4 that "Every man who prays or prophesies with his head covered dishonors his head." It seems that different time periods really make a difference in regards to what God desires. The willingness by not a few SI users to ridicule and mock people who hold different views stands out as a glaring difference. The imposition of a so-called big idea that does not account for the exegetical details is another. The widespread lack of interest in detailed, thorough discussion of the Bible itself. I encourage you to back up in your thinking and spend some time pondering what the original passage reveals about the thinking of God concerning nakedness. Why did God reveal this passage to us? What did God want people to understand about Him through this specific revelation? What Rajesh has done with this passage is to take a regulation that applied only to male priests currently working in the Temple, nowhere repeated for any other class of people in the Old or New Testaments (including Jesus and the Apostles), meaning more or less "wear your underwear", and assume that it indicates an entire range of meanings regulating the whole of Godly attire. The reason for for this dress standard in Exodus 28, according to the text, was to cover their nakedness. This concept of covering one's nakedness and the shame that exists if one's nakedness is not covered occurs throughout the Bible, in both the OT and NT. There is in fact a command to dress in regard to shamefacedness in 1 Timothy 2:9. I, for one, am not trying to assume anything from just one isolated verse. The willingness by not a few SI users to ridicule and mock people who hold different views stands out as a glaring difference. Did some SI members express their opinion that some of your claims lacked credibility and used humor to express their disagreement with you? Yes. Is this ridicule and mockery? I don't think so. Maybe, Ron, if what was directed to him was directed at you, you would feel differently about it. I believe Christians should dress modestly and appropriately for worship, and I believe the Spirit will apply this conviction as Christians grow. How the pastor dresses does send a signal to the congregation. Mod Note: Keep all comments on the text and the topic. And quote only the part of a previous post that you are referring to. Do not quote the whole post. Rajesh you and I seem to have a very different understanding of how the profitability of the OT plays out for the Christian. I can agree with you that we can learn from the passage that the priests were to be covered. I can further deduced from OTHER passages that God hates nakedness in basically any situation outside of a marriage. I can learn from the New Testament that God desires Christians to dress modestly. Do you believe that God intended to teach New Testament believers how to dress at church in this passage? When the Holy Spirit inspired it is that what he was trying to accomplish? If you have ever written on your view of progressive revelation and or continuity/discontinuity could you link it? Thanks. 2 Timothy 3:15 And that from a child thou hast known the holy scriptures, which are able to make thee wise unto salvation through faith which is in Christ Jesus. 16 All scripture is given by inspiration of God, and is profitable for doctrine, for reproof, for correction, for instruction in righteousness: 17 That the man of God may be perfect, throughly furnished unto all good works. As you probably already know, Paul wrote these verses at a time when there were still a number of NT books that had not yet been given to the Church by the Spirit. When Paul speaks of "all Scripture" we can be certain that he had in view all the OT, the NT books that had already been given prior to 2 Timothy, and 2 Timothy as well. We also know that these verses also apply to the rest of the NT books that were given after 2 Timothy was inspired. If you study how the NT writers use the OT, it is very clear that they believe and instruct us that we as NT believers are to profit from the OT. The Spirit has given what He inspired in this passage in Exodus 28 (and the rest of the OT) to profit all NT believers for doctrine, reproof, correction . . . I have written several posts about various aspects concerning the NT use of the OT because it is a very important subject, but I have never written anything that addresses it comprehensively. The subject is a very vast subject and one that I am continually learning more and more about as I continue to study the Bible year after year. I have never written specifically on my "view of progressive revelation and or continuity/discontinuity," but this post from several years ago treats some key passages that do pertain to my understanding of how Christians are to profit from the OT: Are You Profiting From the Old Testament the Way God Wants You To? Agreed. The crux is how Exodus 28 applies to Christians. It is prescriptive in a New Covenant context, or should we take the general principle and apply it? I think one basic principle (whatever else may be said) is that Christians should dress modestly. You could couple this with the observation that all New Covenant members are priests (1 Peter 2). This is different from the question of whether someone has to dress up. 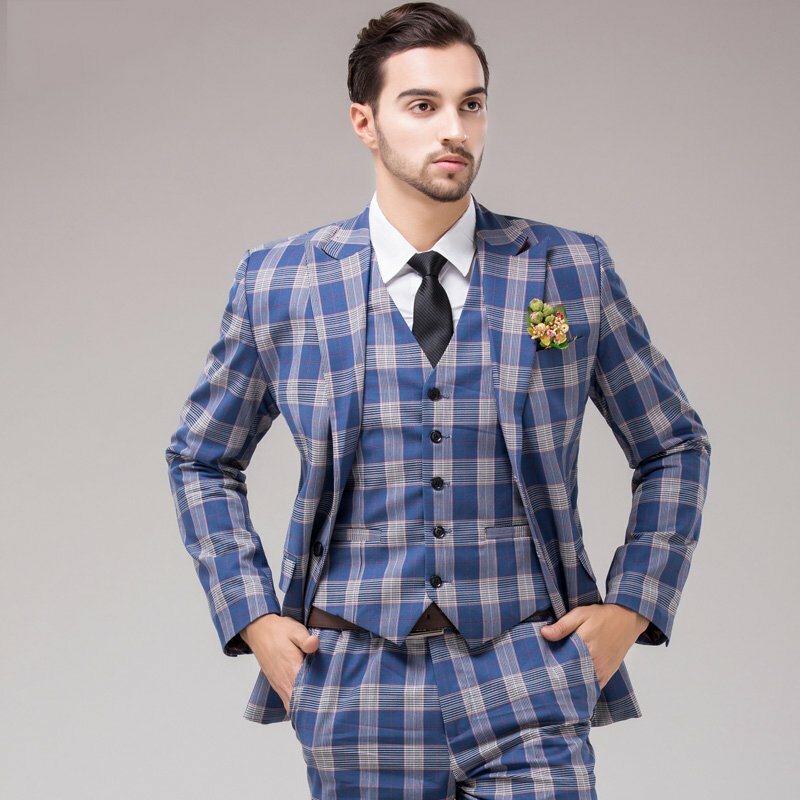 How does "weave the coat in checker work of fine linen" inform? How does "weave the coat in checker work of fine linen" (Exodus 28:39) inform us of dress codes for public worship? Agreed. The crux is how Exodus 28 applies to Christians. It is prescriptive in a New Covenant context, or should we take the general principle and apply it? I think the basic principle (whatever else may be said) is that Christians should dress modestly. This is different from the question of whether someone has to dress up. I think that the passage clearly applies to how Christians dress in the context of public worship. Injecting sensuality into divine worship through immodest dress in any way defiles that worship. Beyond that, I believe that this passage coupled with other passages in both Testaments does have something to say about what modest dress is for believers. God desires that His people distinguish themselves from the world that has defiled itself through a pervasive sensuality that especially expresses itself in the immodest dress that both women and men wear. Given the immense proclivity for us men to sinfully defile our thought lives through lustful thoughts, Christian women especially should cover their hips and thighs in loose-fitting attire that does not encourage ungodly attention to those parts of a woman's body. I certainly agree modesty is a virtue God enjoins on all His people. Good question for which I do not have an answer. Saying that the whole Bible is profitable for us does not mean that it is all profitable in the exact same way(s). Because Exodus 28:42-43 specifies that instruction was given "to cover their nakedness," and because that truth is supported in various ways by many other passages, it is clearer how it is supposed to profit us. Saying that the whole Bible is profitable for us does not mean that it is all profitable in the exact same way(s). Not at all. Anyone who thought previously that I believed that the whole Bible was profitable to us in the exact same way(s) had a very wrong perception of what I believed and believe. Anyone who is a careful student of the Bible knows that simply is not the case. Have you encountered many Christians, in your orbit, who don't believe they should dress modestly for church? Is this an issue, for your context? Do you know anyone who comes to church without underwear? No. The post was not in response to a problem. I was reading my Bible one day and saw the relevance of the passage to that issue in a way that I had never seen before and not heard anyone else talk about in relation to modesty. You are better than this. Hardly conduct becoming of a moderator. Don't try to shame me, Don! I'm just briefly trying to get to the underlying foundational issue without girdling the conversation! Our brother is trying to make a point but he has been evasive! He said: "God provided definitive instruction to His people about how those who would draw near to Him in public worship had to be dressed"
There are currently 0 registered users online.